Click on the logo to learn more about the Tryp! Get great discounts by booking the Albrook Mall Tryp for your stay in Panama City! - Special rate of $115 (savings of $59!) incl. breakfast and high speed internet access for two. Valid for the period of Feb. 2 - 12, 2015, based on availability. A festival ticket or a printout of your online ticket purchase confirmation is needed for booking. - Special rate of $89 (savings of $80!) incl. breakfast and high speed internet access for two, subject to availability. Valid before and after the festival dates, and through Dec. 31, 2015, also for multiple stays. Online Fedora Club membership purchasers should mail a copy of their membership confirmation. In addition the hotel will have a list of all Fedora Club members for the purpose of identification. The offer is not valid for the festival period Feb 4 - Feb 8, 2015. The information below will continuously be updated. The boxes below are showing our partner hotels with special discounts for festival visitors who will be staying for a couple of nights (conditions vary). A conveniently priced hotel located within a short walking distance to the city center, and about 15-20 minutes walk to the festival venue. ﻿Showing your festival tickets and staying for 2 nights gives you a 25% discount on the already low rates! A spacious, modern hotel situated very close to the festival venue at Valle Escondido, and also within a 10 minutes walk from the town center. The hotel features a wine bar and Italian restaurant in addition to its fine hotel restaurant. The first hotel in Boquete. 5 minutes walk from city center. Charming, colonial style. Beautiful fireplace bar and garden. Very quiet, great restaurant. Also the place of the garden party on Feb 4, the first day of the festival. Villa Marita is one of the area’s most enjoyable eco-lodges, perched in the serene hills of Boquete. There are 6 cottages and 3 rooms, offering the comforts of home. We offer a great continental breakfast for all our guests and a breakfast buffet a la carte is available for a reasonable extra charge. 5 minutes drive from the city center. A comfortable, modern hotel in a quiet location on the banks of the Caldera river at about 10 minutes walk or 2 minutes drive from Boquete's central square. Good restaurant and a large bar. Close to town (1km) yet set in a tranquil green setting (about a 10 minute walk). Modern European styling and ownership. Relax and take advantage of The Haven’s many facilities. We offer a range of treatments for instance:- deep tissue massage, relaxation massage, aromatherapy massage, facials, body exfoliation & more. Our natural health clinic offers such treatments as:- chiropractic work, physical therapy & much more. At our beautiful bed&breakfast Casa de Montaña, we have six different, tastefully decorated rooms available. Whether you’re in Boquete, Panama for an adventurous vacation or simply want to relax, we have a room for you! We have made every effort to make your stay a comfortable one! We would like Casa de Montaña to be your home away from home. We serve a full International Breakfast from 8 AM to 10 AM and also have a Social Hour from 6 PM to 7 PM where we serve a complimentary glass of wine, beer, tea, soda, or Boquete coffee – a great way to meet and greet with other people and share your stories! 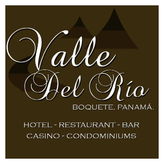 Watch a video of our place and book your room directly from our website by clicking on the logo below! The trendy 103-room Hotel Ciudad de David is the essence of urban sophistication – a stylish, contemporary retreat that somehow manages to soothe and inspire at once. Discerning executives and holiday travelers will find our intimate David hotel perfect for experiencing one of Panama’s largest cities and the capital city of Chiriquí Province, known as an epicenter of commerce, finance and agriculture. Situated just 10 minutes from Enrique Malek International Airport (DAV) and steps from scenic Miguel De Cervantes Saavedra Park, the Hotel Ciudad de David offers unmatched access to the city’s most prestigious corporations and popular tourist attractions, many just a short stroll away. With David being just a 30 minutes drive away from Boquete as well as from the Pacific beaches the hotel is in the perfect location to experience both, beautiful highlands and gorgeous beaches. Most people only fantasize about visiting a secluded island paradise. At Isla Palenque this dream comes true! The Resort at Isla Palenque (ees'-lah pah-len'-kay) is a new private island community on a pristine 400-acre jungle island in the Gulf of Chiriqui, Panama. There are still undiscovered lands. Let your inner explorer roam a place of rare natural beauty, unspoiled by man and unchanged by time, where adventure calls and senses awaken. Situated on a superb beachfront property this small resort is the only hotel on one of Panama's most beautiful, unspoiled beaches, just an hour and a half drive away from the Boquete highlands. The absence of rip currents or undertows makes this the safest beach in the area. Enjoy a dip in the pool, a nice drink at the bar or long walks on this endless beach, often with hardly anybody in sight, and marvel at amazing sunsets...Las Lajas has it all!